Sourcing right candidate is the toughest job of recruiting. This is the challenge faced by all kinds of companies be it start up or established. Google is also not an exception for this. Google grew by about five thousand people almost every year. Google used to get 1, 00,000 to 3, 00,000 applications for job each year. At the beginning Larry and Sergey, the founders of Google were very clear to hire only smart people. But later they refined the process because alone IQ doesn’t not make someone creative or a team player. Google hire about 0.25 % of the people which they consider. It’s a very hard place get into. Google comprehend that number of employees is going higher but not the productivity. After analyzing hiring process founders realized that it was important to hire by committees t. They instituted that no individual interviewer will get it right every time, an instinct that would later be formalized in ‘wisdom of crowds’ in 2007. Initially Larry and Sergey used to conduct everyone’s interview, now it is done by the teams. And one final reviewer of every – yes, every- candidate: CEO, Larry Page. The hiring team’s job is to maintain good quality of people. Google believes that as you get bigger, you start making compromise of quality. The result is that you go from hiring stellar people as a small company or team to hiring average people as a big company. 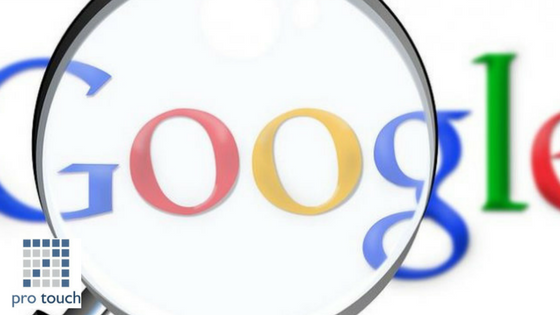 Google tested traditional tactics like advertising jobs on websites like Monster.com. These did not work well. Hiring team was spending hours to filter through flood of applications. Like anyone else, Google did reference check. Googler would often get an automated email asking if they knew the applicant this reduced “backdoor” reference and bias. Then the entire information of an applicant used to get collated and reviewed by hiring committee. There were many hiring committees, and each would be composed of people who were familiar with the job being filled but didn’t have direct stake. Recruitment consultancies was the another source which Google used. Google contracted with recruitment agencies. But it was difficult for them to understand Google’s job requirement. Their confusion gave way to frustration when Google insisted on paying only for successful hires rather than providing retainer fees which many organizations pay. And once you solve another puzzle applicant used to receive interview call mail. The result of this activity was zero hiring. The applicants who solved the puzzles were solo competitions and not the team players. Google, where they look for people who cannot solve today’s problem but can also solve future unknown problems. Google also thought of using grades and transcripts and their analysis revealed academic performance didn’t predict job performance beyond the first two or three years after college. In the early days many years, Google’s best source of candidates was referrals from existing employees. At one point, more than half hires were referrals. In 2009, however Google experienced decline in employee referrals. Company increased bonus to $ 4000 from $2000. And surprisingly it didn’t change the rate of referrals. Survey was conducted to identify the reason for less referral and they found existing employees are happy with Google. Investigation led to the conclusion that referral bonus is extrinsic motivator and Googlers were making referrals for intrinsic reasons with feeling of giving back to Google family and helping friends. But did not solve the question, why did the referral rate slow down? Were people having less fun at Google? The answer was Google was just doing a really poor job of managing referrals. Google was hiring more people from other sources. This was frustrating for Googlers. Why keep referring good people if less than one in twenty actually got hired? And even worse, candidates were suffering through far too many interviews, and referrers weren’t being kept in the loop about what was happening to his friends. To address these issues, Google drastically reduced the number of interviews each candidate goes though. Google also made a policy, where referred candidates get a call within forty- eight hours and referring Googler is provided weekly updates on the status of their candidates. Google Careers website is one of the best sources of candidates for Google. Corporate job sites are awful. They are difficult to search, filled generic job descriptions they don’t tell you anything about what job really is. Google started addressing this in 2012. Candidate can now submit not only resume but also develop a personal skill profile. Using Google+ “circles” they can choose to share those skills with Google. They can get in touch with current Googlers to find out what it is really like to work here. The last source of candidates that Google have used is job boards. Popular examples are Monster, CareerBuilder, Dice, and Indeed. The Google experience is job boards creates many applicants and vanishingly few actual hires. Google believes in more motivated candidates will show the modest initiative required to actually go to Google Careers and apply directly. Looking back over the years, Google was fortunate to have founders who from the first day cared about high quality recruiting. The first step to building a recruiting machine is to turn every employer into a recruiter by soliciting referrals and temper the natural bias toward friends. Recruiting team require to spend more time on sourcing great hires. Finally, be willing to experiment. Google learnt billboards don’t work because Google tried one. *Note: The author has put together various views expressed in the book work Rules! By Laszlo Bock. Google believes in more motivated candidates will show the modest initiative required to actually go to Google Careers and apply directly.